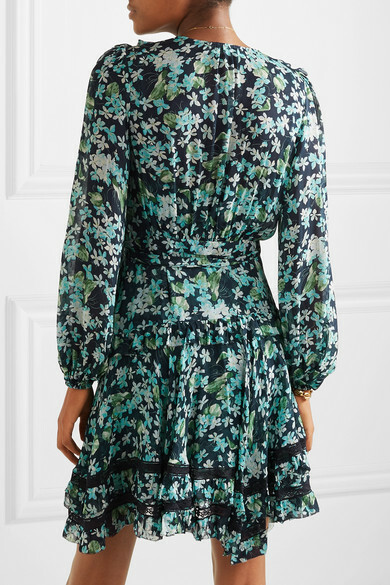 Part of Zimmermann's Spring '19 collection, this 'Moncur' wrap dress is made from lightweight crepe de chine printed with pretty blooms and trimmed with black lace. 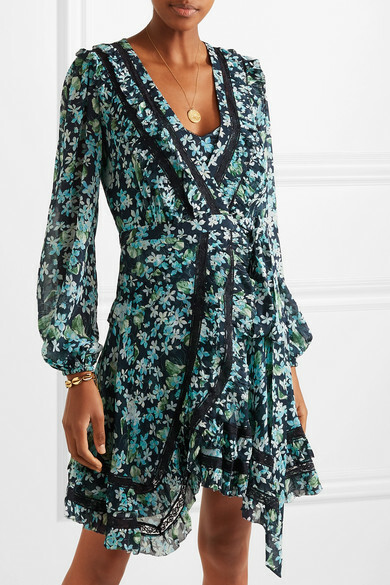 It comes with a matching detachable slip and has elasticated cuffs that enhance the volume of the sleeves. Shown here with: Rosantica Clutch, Vince Sandals, Alighieri Bracelet, Tohum Bracelet.